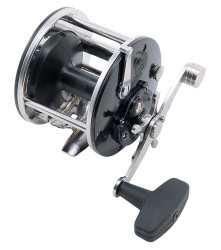 This type of reel is the most common. It features a design with an open face and can take quite a lengthy piece of line. It is much simpler to use compared to the bait cast and has a higher degree of accuracy than the Spin cast. The reel is quite versatile and can be used in different settings. However, it does not really work well with heavier lures and lines. The most distinct feature of this reel is its closed face. All other components are housed inside the enclosure. There is a small opening in the cover where the fishing line comes through. To operate it, you press a button located on the rear of the reel while casting it forward. Letting go of the button stops the line. Although it’s easy to use, its accuracy is not the best. The line is well suited for heavy lures and lines. Every time it is cast in the water the spool turns. It therefore requires some skill to stop the line forming a nest of line. It can be quite tricky to use especially for first-timers. However, it is rather accurate once you get the hang of it. Usually, it is used by expert anglers. This type of fishing tackle has the reel placed above the reel. 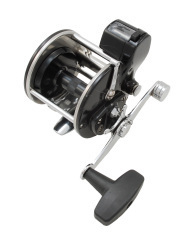 The axis of the reel is at a perpendicular/ vertical angle to the fishing rod unlike the spinning type whose reel axis is parallel or horizontal to the rod. The main advantage of these fishing reels is that an angler can simply tell what is happening below the water by touch. It can further be classified as either low-profile or round. This type which falls under the conventional is regarded as the traditional reel. It features a round cross-section. 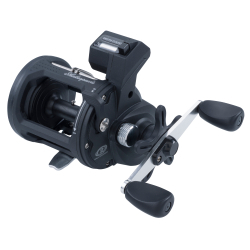 The reel sits further away from the rod as opposed to the low-profile reel. Round reels are generally stronger and can hold more lines. They are more suited for tossing bait. 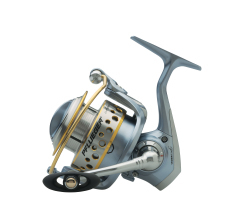 This reel is mainly used in fly fishing. It’s regarded as one of the most complicated to master. Normally, fly fishing entails the use of an object known as a fly to attract the fish. This is in contrast to using live bait. The user will have to perfect the skill of casting the line in such a way that it lands in the right position. 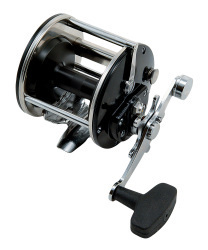 When selecting the right reel for fishing you may need to consider various aspects. One, type of water-is it a river, lake, sea or inland water. Two, is it for average sized fish like the trout, or saltwater fish like bone fish, bass and tarpon, or for large freshwater species such as pike or Salmon. Finally, the type of experience you have in handling fishing reels. These factors will help you in setting the right drag which is necessary to catch and haul-in the fish efficiently.